CLARKE, William OS, 3276, RCN MPK - 25 Jun 1940, HMCS FRASER - Born 23 Aug 1918, son of Thomas and Florence Clarke of Calgary, AB. Besides his parents, Seaman Clarke has six brothers in Calgary, Robert, 19, in the RCNVR; Stanley, 17; Jack, 12; Glen, 7 and Jim, 4. William's father, Mr. Clarke is known in Calgary, having operated the elevator in the post office for many years. He is a veteran who lost a leg in the Battle of the Somme. Another lad from the Calgary district known to be on the Fraser was Vic Wheeler of Nanton, 21-year-old son of C.H. Wheeler, of Nanton. By noon today, however, Mr. Wheelr had received no work of his son and it is believed that he is safe. The two boys were close friends as well as shipmates. BLYTHE, Jeremiah (Jerry), C1ER, 21614-E, RCN (served 31 Jul 1939 - Jul 1964) - passed away at Mt. St. Mary Hospital on May 1, 1999 with his wife, Edith at his side. Jerry was born in Scotland on July 31, 1918. He was predeceased by his father, mother and sister, Kay. Jerry is remembered by his loving wife, Edith; son, Stan; (Carmen); grandchildren; Chrisie (Lance), Rob (tara), Susie (Steve) and Caio; great-grandchildren: Courtenay, Carter, Chelsea, Samantha, Heather and Rebecca; brothers: Ron (Marg) and Dennis (Kathy) and relatives in Vancouver, Calgary, Nova Scotia and California. He served in the RCN from 1939 to 1964 and then worked for the BC Department of Highways for 21 years. Jerry was an avid golfer and loved life until he was afflicted with a disease which he battled courageously for four years. Jerry will e greatly missed by his family, many friends and the staff of Mt. St. Mary Hospital who made his past year of life special with their love and care. Service of Remembrance will be held at Mc Call Bros. Floral Chapel, Johnson and Vancouver Sts., on Friday, May 7 at 2:00 p.m. Reception will follow at McCall's. Flowers gratefully declined. Donations may be made to the "Wheelchair Bus Fund" Mt. St. Mary Hospital, 999 Burdett Ave., Victoria, B.C. BROWN, Allan M.S., PO LTO V13173, RCNVR / Lt, O-9300, RCNVR of Calgary, AB, died 01 Jun 1999. He enlisted in the RCNVR on 01 Oct 1940 and was Commissioned from ranks on 30 Jun 1943. 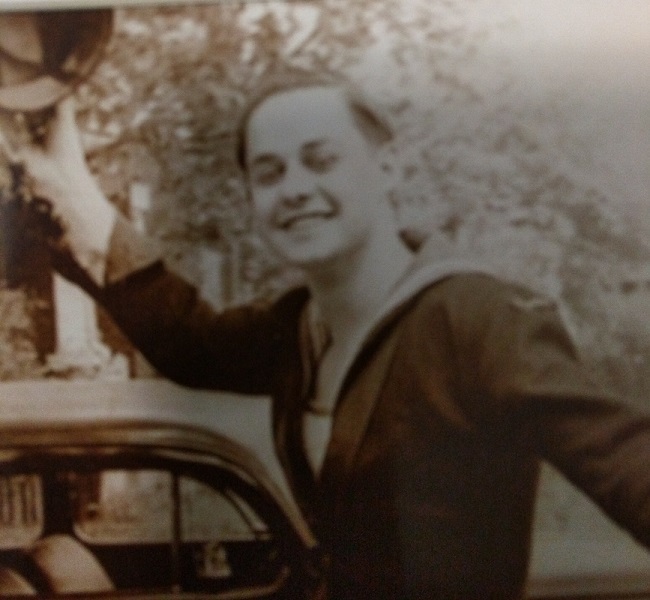 BROWN, Brian Joseph, CPO TAS, 2936-E / Lt (TAS), O-9318, RCN (served 10 May 1937 - 13 Mary 1969) (17 Aug 1919 - 24 May 1999) - passed away suddenly at age 79, May 24, 1999. Predeceased by his loving wife, Muriel (Nee Ryley). Survived by Sherry (Jim), Brian (nancy); grandfather of Shauna, Stacey, Ryley, Eric and Gavin; brothers to Jack, deceased (Mary), Harry (Pam), Gerry (Bev) and close friends, Suzanne and Yuki. Following military retirement, Brian enjoyed a second career in real estate and travelled extensively. He was active in Victoria's Japanese community through his work with the Bonsai and Koi Clubs. He was also recognized for his achievements in oriental calligraphy. Service to be held at Naden Chapel at 1:00 p.m. Monday May 31. Reception to follow at the CPO's Mess, Lyall St., Esquimalt. In lieu of flowers, donations may be made to a charity of your choice. CONWAY, Archibald Henry William, LS, 2259, RCN MPK - 25 Jun 1940, HMCS FRASER - Born 19 Mar 1911, he was the son of Archibald and Caroline Conway. Archie attended school on Fairfield Island and at Chilliwack High School, where he was an excellent soccer player. He'd been in the navy for 13 years and was a well known softball player. LS Conway is survived by his parents, his wife Eileen Helen Conway (married 25 Nov 1932) and 4 children all under 7 years of age. COOK, John Edward, Sto, 21488, RCN MPK - 25 Jun 1940, HMCS FRASER - Born 20 Mar 1918 in Midlevel, England, he was the only son of Harold Bruce and Louisa (Burgess) Cook. 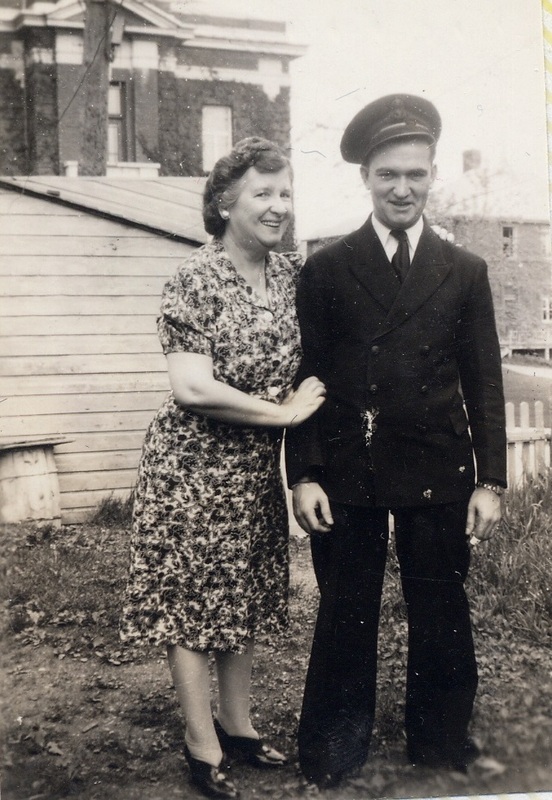 Jack went to school at Melaval and Limerick, SK and enlisted in the RCN on 14 Jul 1937 as Esquimalt, BC. FECTEAU, Ernest, Chief Ordnance Artificer, 21180, RCN MPK - 25 Jun 1940, HMCS FRASER - Born 09 Jan 1897, son of Joseph A. and Emilie Fecteau of Quebec City. He is survived by his parents and his wife, Alice Fecteau also of Quebec City. HICKS, Earl Cameron PO Ck (S), 40396, RCN MPK - 25 Jun 1940, HMCS FRASER - Born 25 Jan 1915, son of John and Clara Elizabeth Hicks of Buckingham, QC. HILLS, Spencer William VR2055, RNCVR (served 11 Aug 1914 - 31 Jan 1919 ) / V27013, RCNVR / RCNR, A5731 (served 25 Oct 1942 - 17 Nov 1943) - was born 9 Sept. 1892 in Gillingham, Kent and served with the Royal Navy from Jun 1904 - 30 Jul 1912. 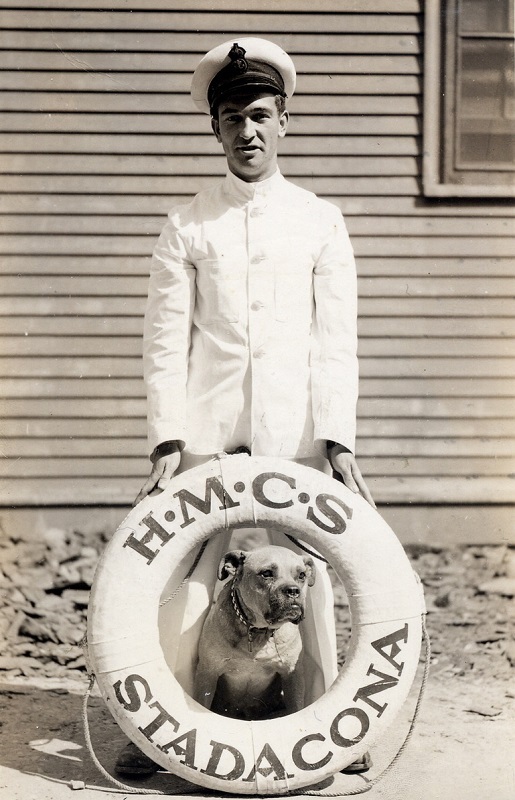 He joined the RCN - 11 Aug. 1914; his parents emigrated arriving Halifax 12 April 1911. He married Idelia Learning on 24 Oct 1917 in Halifax, N.S. 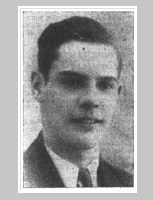 A son, William Hills, was born in 1920 in Toronto; William Snr. was by then working for the Niagara Steamer Co. as a Mate/Master William Hills (Jr) died on 27 Aug 1933 in York, Ontario. Date of passing for William Hills Snr unknown. BONSOR, Edward James, C1TAS, 3019-E / Lt, O-7527, RCN - Born April 23, 1919, passed away suddenly on June 22, 1999 at the age of 80. Survived by Elizabeth, his loving wife of 58 years; children: Diane (David) Hill, David (Nelda) Bonsor, Lesley (Charles) Poulsen and Mark (Lisa) Bonsor. Fondly remembered by his grandchildren: Susan and Karen Hill, Tristan and Mark Bonsor and Erik, Laurel and Scott Bonsor. "You truly were gifted Dad and you never gave up". No service by request. In lieu of flowers, donations may be made to the Heart and Stroke Foundation, #1-947 Fort St., Victoria, V8V 3K3. Many thanks to Dr. David Meir. BROOKER, Dorothea Rose, PO Writer, WRCNS (served 22 Mar 1943 - 10 May 1946), passed away suddenly on August 17, 1999 at the age of 86 years. Predeceased by her parents, Albert and Rose Brooker. Lovingly remembered by her brother, Gordon (Joan) of Regina, Saskatchewan; nephew, Terry (Judy), Keith (Debbie) and Grant (Bev); niece, Karen Anne (Bob) MacFarlane; eight grandnieces and grandnephews. After serving with the WRCNS during the Second World War, Dorothea joined a local law firm, eventually attaining a lifetime membership in the Legal Secretaries Association. Dorothea loved to travel and visited many countries, but was always happy to turn to her favourite city, Victoria. She was a cheerful, dedicated volunteer for both Fairfield United Church and the Ex-Service Women's Branch #182 of the Royal Canadian Legion. Visitation will be held at McCall Bros. Chapel, Johnson and Vancouver St., on Sunday, August 22, from 3:00 p.m. to 5:00 p.m. Funeral Service will be held at Fairfield United Church, 1303 Fairfield Rd., on Monday, August 23 at 11:00 a.m. Reception to follow in the Church Hall. Interment will take place at Royal Oak Park. Flowers gratefully declined, donations may be made to Fairfield United Church or the Ex-Service Women's Branch #182 of the Royal Canadian Legion. BONNEAU, Beaulieu Archibald (Tommy, Tom), C2ER, RCN (served 16 Sep 1940 - 16 Sep 1960) - on November 12, 1999 of Edmonton, formerly of Victoria, BC, passed away at the age of 77 years after his battle with cancer. 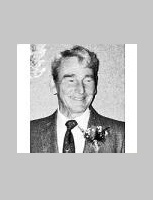 He is survived by two sons; Colin (Betty) of Sherwood Park, AB and Marvin (Verna) and two grandchildren: Michael and Victoria of Edmonton, AB. He was pre-deceased by his wife, Thora in February of this year. Tommy served in the Royal Canadian navy from 1940 to 1960 and at the Esquimalt Naval Dockyard from 1962 to 1987. Tommy and Thora will be remembered as founders of teh Victoria Cat Rescue Corps. Society in 1984, which began as The Bonneau Spay Fund in the late 1960s. In lieu of floral tributes, donations may be made to the Victoria Cat Rescue Corps. Society, Box 5795 Stn B, Victoria, BC V8R 6S8. Cremation has already taken place and a memorial service will be held on Saturday, December 4, 1999 at 3:30 p.m. at Salisbury United Church, #2 Mission Street, Sherwood Park, AB officiated by Rev. Michael Chandoo and assisted by Rev. Ed Scarlett. JOHNSTON, James McKinley, AB, 2802, RCN MPK - 25 Jun 1940, HMCS FRASER - Born 27 Sep 1914, son of James and Jean B. Johnston of Calgary, AB. 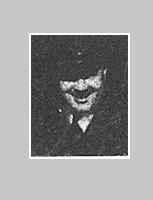 Able Seaman James Mckinley Johnston, age 25 reported killed, was born and educated in Calgary. He joined the navy in 1935 before coming here for active service in 1937. His wife Leona Jane Johnston, and his infant daughter live in Victoria while his parents, two brothers and a sister live in Calgary. KELLY, John Richard, AB, 3099, RCN, MPK - 25 Jun 1940, HMCS FRASER - Born 26 Jun 1915, son of Herbert and Helena Kelly of Dartmouth, NS. KENNEDY, Archibald, AB, 3011, RCN MPK - 25 Jun 1940, HMCS FRASER - Born 13 Mar 1920, son of Alexander C. and Catherine M. Kennedy of Victoria, BC. Able Seaman Archibald Kennedy - age 20 the word of his death was received by his mother Mrs. Alex Kennedy, 2530 Avebury Avenue, while his father was en route east with the Canadian Scottish Regiment. He was educated at Oaklands School and was a member of the Navy's Soccer team. His father was recently granted leave of absence as city pound keeper to join the Active Service forces. KENNEDY, Robert Makin, AB, 3230, RCN, MPK - 25 Jun 1940, HMCS FRASER - Born 06 Dec 1915, he was the son of Hebert Makin and Margart S. Kennedy, Elmwood, MB and husband of Agnes Love Kennedy of Winnipeg, MB. Able Seaman Robert Makin Kennedy left for active service with the Royal Canadian Navy; his father James Kennedy hung a Union Jack on a huge flag pole at the rear of his home, 416 Talbot Ave. It was a Fly proudly until young Kennedy returned. Friday morning a gust of wind ripped the flag in half. Friday afternoon word was received that Bob had been killed when HMCS Fraser sank off the coast of France, following a collision. His address was given as 1117 Hillside Ave., Victoria, B.C., but he was actually a native of Winnipeg. Seaman Kennedy age 24 was born here and attended Lord Selkirk School. Five years ago he joined the sea cadets and then the RCNVR. He joined the permanent navy two years ago and was married about the same time. A reassured souvenir of his parent is a silver trophy he won last year in a RCN boxing tournament in Vancouver. Kennedy last leave was in November at which time his baby daughter, Roberta was born. He told his wife, who resides in a Carlton Street rooming house, that following service in Jamaica he would visit Winnipeg again, but his plans were apparently changed and his boat went to France instead. He is survived by his parent's one sister, Mrs. D. J. Whitehead, Saskatoon, and two brothers, James and David at home. 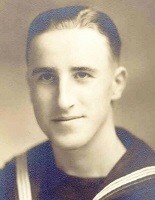 LOGAN, Clifford Melvin, AB, 2817, RCN MPK - 25 Jun 1940, HMCS FRASER - Born 25 Apr 1919, son of Emily Logan of Victoria, BC. Able Seaman Clifford Melvin Logan, age 21 was a native of Victoria and attended Central School. 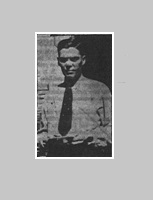 He enlisted on January 05, 1937. He is survived by his mother, Mrs. E. Logan, and two brothers. MACKLIN, Franklin George, L/Sig, 2536, RCN MPK - 25 Jun 1940, HMCS FRASER - Born 01 Jan 1919, son of Mr. and Mrs. Samuel Macklin, Brantford, ON. Leading Signalman Franklin George Macklin, eldest son of Mr. S. George Macklin, 145 Cayuga Street, was a veteran of more than nine years service with the Royal Canadian Navy at the outbreak of the Second Great War. He had joined its ranks in July, 1930, when he was 16 years of age, and through the succeeding years enjoyed many interesting experiences at sea and abroad. Among the most memorable was the part he played as a representative of Canada's ratings at the unveiling of the Vimy Ridge Memorial in France on July 27, 1936, and also when he was on the crew of the ship that carried Their Majesties, King George and Queen Elizabeth up the Pacific Coast on their visit to Canada in 1939. L/Sig. Macklin lost his life on the destroyer H.M.C.S. 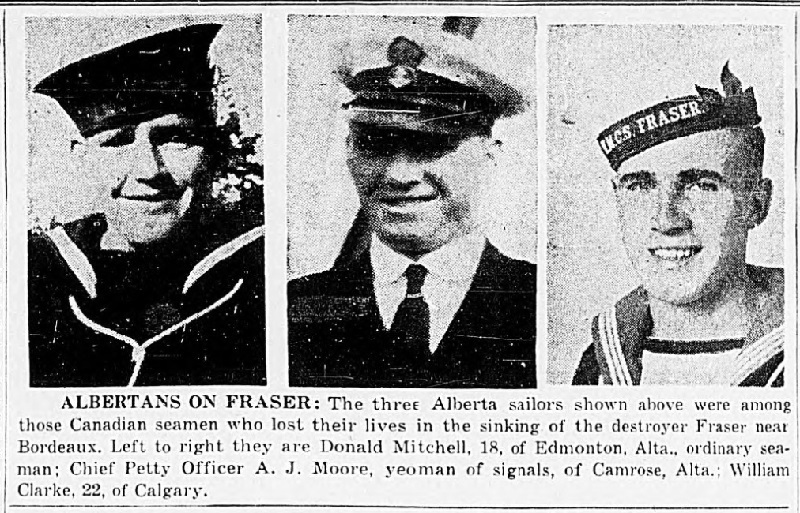 Fraser when she was sunk on June 25, 1940, and he was thus the first of Brantford's sons to give his life for King and Country in the Second Great War. He had been overseas about a month before the Fraser went down, sent over when the first ships of the R.C.N. were dispatched to Britain to engage in coastal defense work. 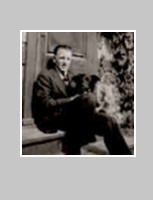 Born in Brantford, January 01, 1914, Franklin attended King Edward School. He was employed for a short time at the Crown Electrical Manufacturing Company Ltd. He attended Zion United Church. MARCOTTE, Joseph Leo Paul AB, 2161, RCN MPK - 25 Jun 1940, HMCS FRASER - Born 23 Dec 1904, son of Joseph and Alma Marcotte, Transcona, MB. Able Seaman Joseph Leo Paul Marcotte, age 30 listed as killed, was a popular athlete, being prominent on the softball diamond and a former hockey player. He is survived by his wife, Alice May Marcotte in Victoria, B.C. MARR, David, PO Tel, 2185, RCN MPK - 25 Jun 1940, HMCS FRASER - Born 03 Dec 1909, son of David and Harriet Marr, Vancouver, British Columbia. 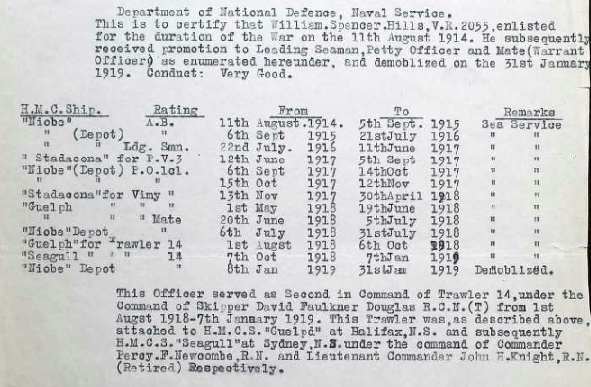 Petty Officer Telegraphist David Marr a former navy footballer from Victoria, listed as killed. He played with Stoker Petty Officer Thomas Watt in the Wednesday Football League. He is survived wife Julia Henrietta Marr of Lynn Creek, BC. MCGIBNEY, Frank, Electrical Artificer, 40569, RCN, MPK - 25 Jun 1940, HMCS FRASER - Born 21 Mar 1910, son of Francis and Sara Jane McGibney of Winnipeg, MB. 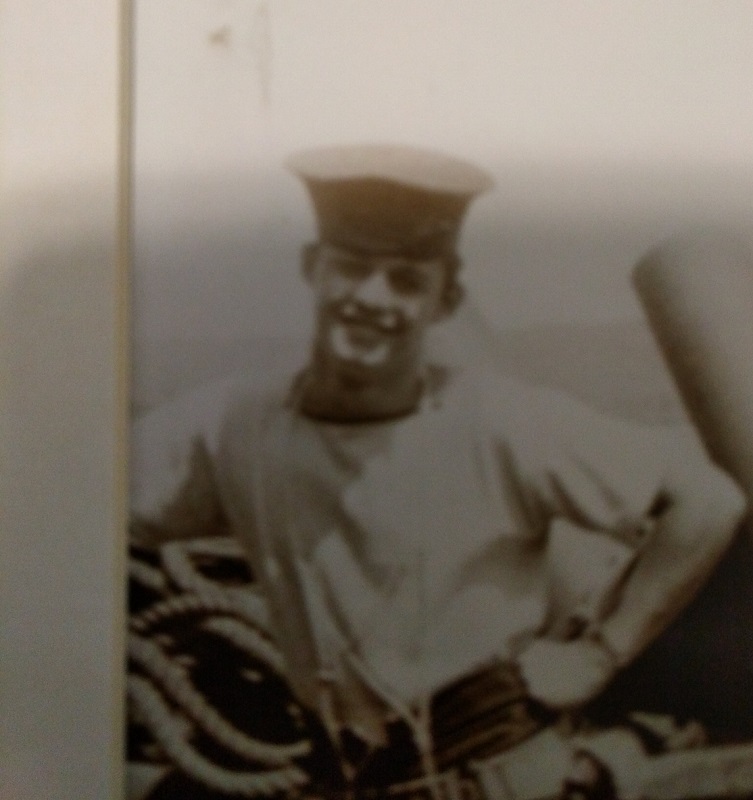 MCLACHLAN, George Hallern, Sto, 21612, RCN, MPK - 25 Jun 1940, HMCS FRASER - Born 01 Jan 1920, son of Mr. and Mrs. Jack R. McLachlan, Assiniboia, SK. Stoker McLachlan of Assiniboia was the son of John R. (Jack) McLachlan who came from Glenwood, Pope County, Minnesota, to homestead in the Jackson district west of Assiniboia in 1911. George was farming with his family when he enlisted on August 06, 1939 at Esquimalt, British Columbia a month before the war broke out. BARLOW, William (Bill), CPO Shpwt, RN (served 1952-1957), P1SH, RCNR (served 15 Dec 1957 - 30 Nov 1968) - born November 8, 1919 passed away suddenly on December 28, 1999 doing what he like the best, playing golf. He is predeceased by his wife, Barbara Jane; sisters: Nellie, Rose and Gladys; and his brother, Joe. Survived by his daughter, Diane; granddaughter, Jennifer; sister, Joan (Harry); many nieces and nephews; and his best friend, Candy Deadman. Bill was a member of the Royal Canadian Legion Branch #76 and a member of the Chief and Petty Officers Association. He served in the Royal Navy from 1940 to 1945 (HMS Norfolk) We will miss him immensely. No service. Donations to the SPCA in lieu of floers. A reception to celebrate his life will be held Sunday, January 2, 2000 from 2:00-4:00 p.m. at the Qualicum Beach Golf Club House on Memorial Drive. His friends are welcome. BOULEGON, Jean-Claude (JC), C2ET, RCN, CAF (served 15 Jan 1964 - 1991) (25 Sep 1945 - 29 Feb 2000). JC was born in Felletin, France and is predeceased by his father, Louis who passed away in 1949. Survivors are wife, Karen of Portland, Oregon; children: Donna Doiron (Boulegon) and Keith Boulegon both of Dartmouth, NS; mother, Feodosia of St. Catharines, Ontario; sisters: Genevieve Hoffman, Elaine Kilby, Madeleine Reeds all of St. Catharines; four grandchildren: Amanda, Ashley, Brandon and Jeffery. JC served in the Canadian Armed Forces (RCN) for 28 years retiring in 1991. He then moved to Portland, Oregon and joined the high tech industry in 1993 and was working at Alcatel Submarine Network, a Transoceanic Fiber Optic Manufacturer in Portland at the time of his death. JC loved fly-fishing, hunting and any outdoor activity. Visitation for family and friends will be held in the Sands Funeral Chapel, 317 Goldstream Avenue, Victoria, B.C., on Sunday, March 5 between 12:00 noon and 4:00 p.m. Visitation prior to the service will be from 12:00 noon - 1:00 pm. at St. Rose of Lima, Sooke, B.C. on Monday, March 6 where the service will be held at 1:00 p.m. with Father Fred Haffey celebrant. Interment to follow at the Sooke Harbour Cemetery. If friends so desire, donations in JC's memory may be made to the BC Heart and Stroke Foundation, #1-947 Fort Street, Victoria, BC. BURKE, John Norman, CPO TGM / LCdr, RCN (served 10 May 1937 - 17 May 1970) - passed away to be with his Lord on September 18, 2000, at the age of 81. He was born in Hanna, Alberta, on August 26, 1919. Norm lived in Delia (between Craigmile and Michichi), Alberta. As well as Victoria, BC, he also resided in Halifax, and Ottawa. He is survived by sister Dorothy Crawford, Comox; two sons, John Burnaby and Frith (Cathy), Victoria; daughters, Norma Kempf (Jack), Mexico, and Nancy, Vancouver; one granddaughter, four grandsons, three great-granddaughters and one great-grandson. 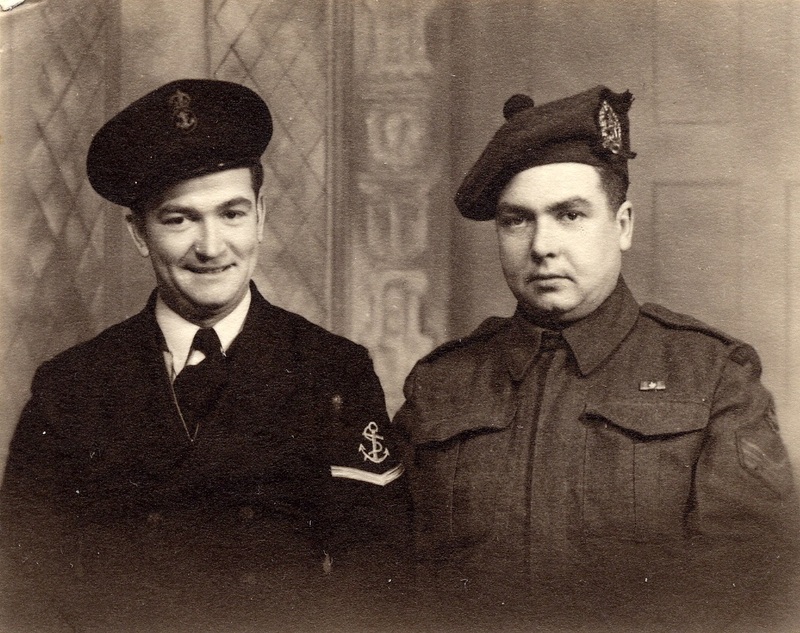 Norman joined the Navy as a boy seaman in 1937, serving on destroyers during the Second World War. 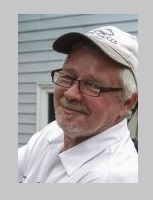 After a long and distinguished career both at sea and ashore on both coasts and in Naval Headquarters, he retired in 1970. he gecame a general contractor and was a respected realtor in Queensport, Nova Scotia. Norm was a member of Emmanuel Baptist Church. He was an active member of the Naval Officers Association of Vancouver Island, CPO's Association BC, Henderson Lodge AF&AM No. 84, and the Royal Canadian Naval Association. He was a life member of the Royal Canadian Legion, and was a very active member of the Pro Patria Legion in Victoria. He will be remembered as one who really cared about his fellow man and went out of his way to help. Our family also wishes to say thank-you to Marian Greenway and her family, who were such close and supportive friends, Bob and Elaine Greenway, Victoria and Maureen Greenway, Corpus Christi, Texas. Sid Jarvis, his golfing partner, gave support and friendship which he enjoyed so much. He treasured his family and many friends. We will all miss our spirit-lifting, joy-bringing, heart-mending, laughter-sharing, story-telling and fun-lovig "Favie". Memorial service will be held at Pro Patria Legion, 411 Gorge Road East, on Thursday, September 21 at 2 p.m. Burial will be at sea. Donations, in Noman's memory, will be gratefully received by the Pro Patria Legion Memorial Fund. Flowers gratefully declined. Special thank you to the Victoria Hospice team, the compassionate skill of Dr. Kevin Wylie and the many nurses from the Home Care Program. BAXTER, William Edward John (Jack), V16232, RCNVR / C2MA, 93555E, RCN, R18889, RCNR - (served 18 Sep 1940 - 15 Jan 1969) - passed away January 11, 2001 at the age of 82 years. 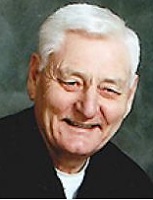 Jack is survived by his loving wife, Marie of 59 years; two sons, Douglas (Linda) and Ted (Nonie); one daughter, Beverly (Steven); eight grandchildren: Allison, Scott, Darcy, Moria, Tana, Stephen, Miranda and Justin; one great-grandchild, Chloe; brother, Douglas of Thunder Bay, Ontario. Jack spent 25 years in the Royal Canadian Navy as a CPO2 Medial Assistant. No service at Jack's request. In lieu of flowers, donations may be made to the Canadian Cancer Society or the charity of your choice. 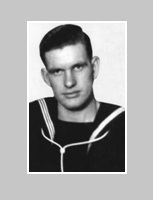 MITCHELL, Donald William, OS, 3424, RCN, MPK - 25 Jun 1940, HMCS FRASER - Born 29 May 1922, son of Wilfred and Clara Vivian Mitchell of Edmonton, AB. 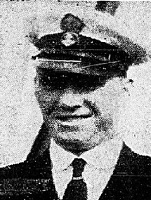 OS Mitchell, age 18 of Edmonton, was killed in the sinking of H.M.C.S. Fraser.  He joined the navy in August 1939. MOORE, Arthur James, Yeoman of Signals, 2258, RCN, MPK - 25 Jun 1940, HMCS FRASER - Born 20 Dec 1911, son of Hedley Sheperd and Agnes E. Moore of Kimberly, BC. Yeoman of Signals Arthur James Moore of Esquimalt, B.C. 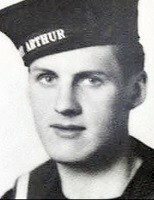 was killed; Arthur lived in Camrose, Alberta until he was 16, when he joined the navy at Esquimalt. His mother Mrs. H. S. Moore, and a brother, Ralph, while his father and four brothers are in Canal Flats, B.C. Mrs. A. G. Nelson of Kimberley, B.C. and Mrs. James Annoslry of Camrose, are sisters. His wife formerly Rue MacDonald of Victoria, resides at Esquimalt. 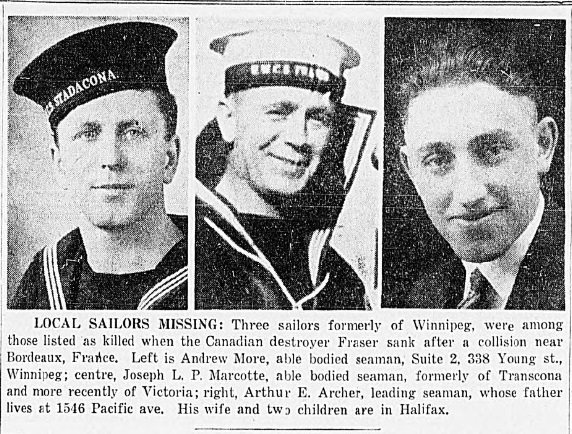 MORE, Andrew, AB, V9314, RCNVR, MPK - 25 Jun 1940, HMCS FRASER - Born 18 Jul 1910, son of Andrew and Margaret More of 338 Young St., Winnipeg, MB. MCDOWELL, Andrew Vincent, Sto 2c, V300, RCNVR, MPK - 25 Jun 1940, HMCS FRASER - Born 09 Sep 1918, son of Allen J and Mary A. McDowell, Enfield, NS. PADDON, James Weymuth, AB, 2730, RCN, MPK - 25 Jun 1940, HMCS FRASER - Born 16 Sep 1917, son of George Henry and Delina Elizabeth Paddon of Windsor, ON and husband of Elizabeth Ann Paddon of Windsor, ON. PAUL, Gordon Mckenzie, AB, V16007, RCNVR, MPK - 25 Jun 1940, HMCS FRASER - Born 04 Aug 1919, son of William Grant Paul and Alice Paul; brother of James S. Paul, of Port Arthur, Ontario. PRATT, William Russell, AB, V16013, RCNVR, MPK - 25 Jun 1940, HMCS FRASER - Born 07 Aug 1917 in Indian Head, SK, he was the son of James and Effie Edna Pratt. 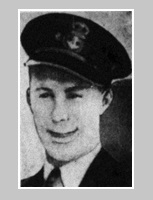 PRICE, John Roberts, CPO, 2082, RCNVR, MPK - 25 Jun 1940, HMCS FRASER - Born 16 Oct 1905, he was the son of Albert and Marjorie Price, Victoria, BC and husband of Gladys Gloria W. Price, Ottawa, ON. ROBERT, Maurice, PO.CK - Born 1918 Died 31 Jan 2001 - During his time in the RCN, Robert was a cook. On board HMCS Kenogami, his action station was one of the depth charge throwers. HASSIM, William Fisher, CERA - Born 31 Jul 1898 Died Jul 1983. William served in the RAF during WW 1, and the RCN during WW 2. 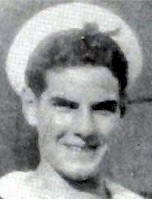 McGUIGAN, Roland Louis, V47587, A/Leading Coder, RCNVR - (11 Mar 1923 - 29 Nov 2017) Served in the RCNVR the summer of 1942 till Oct 1945. SWEENEY, Clarence Peter (04 Jun 1924 - 19 Dec 2010) - was born in Toronto, Ontario June 4, 1924. He attended Riverdale High School. 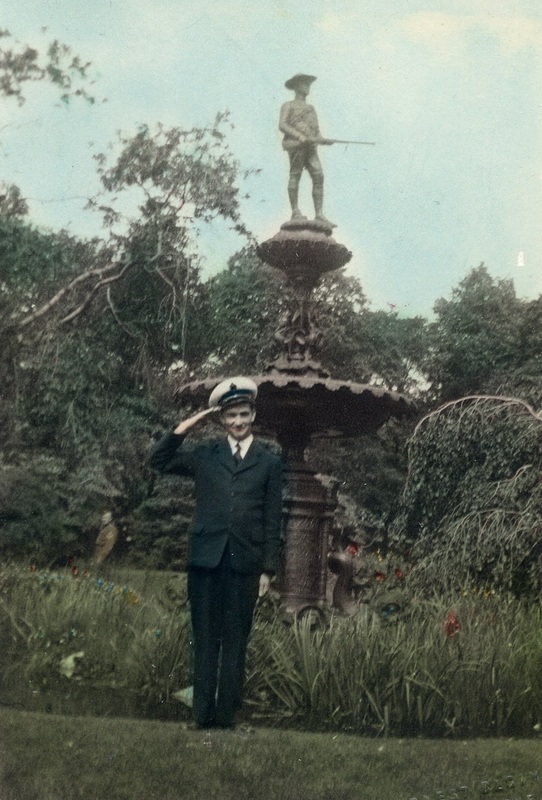 Clarence joined the Navy in the spring of 1942. Clarence married Noreen Foster June 1, 1944. They had a daughter, Sharon and a son, David, nine grandchildren and four great-grandchildren. Clarence's son died October 13, 1979. After discharge from the Navy Clarence worked for Clarke Brothers Machinists as a tool and die maker. Further training in time management led him to positions with the International Resistance Company and the Douglas Randall Company. In April of 1960, he opened two service stations in Scarborough, Ontario. In 1972, Clarence had a career change and moved north to Sutton, Ontario. There he worked for the Durham School Board. A work-related back injury forced him to take an early retirement. In 1985, he and Noreen moved to Pickering, Ontario where Clarence developed a keen interest in computers. He devoted three days a week helping Lord Elgin Public School students learn how to use a computer. During this time he created several computer learning programs for elementary school children. Clarence and Noreen moved to Cambridge and then to Vineland, Ontario where Clarence spent many hours tending to his rose gardens and lending a helping hand to his many neighbours. ROSS, William Garfield, Sto PO, V10019, RCNVR MPK - 25 Jun 1940, HMCS FRASER - Born 15 May 1900, Ross was the son of William and Emma Ross of Regina. William Garfield Ross of Regina, Saskatchewan was born at Indian Head and was a fireman for Imperial Oil when he enlisted on June 29, 1923 at Regina, Saskatchewan. He was discharged in 1927, re-enlisted 1930-35 and finally re-enlisted in 1938. Ross also enlisted in the 249th Battalion at Regina near the end of World War I (he had to lie about his age) when his family was living at Instow northeast of Shaunavon. 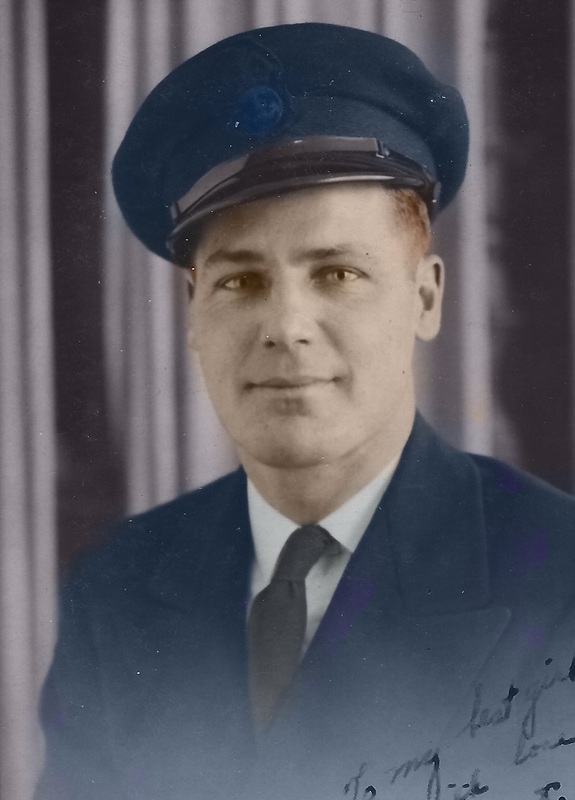 William Ross joined the Regina post office staff Dec. 12, 1936, first as a letter carrier and later as a mail porter. "He was one of the nicest chaps and finest men we had on our staff" Mr. LaBalle said. Before the war he resided at 2024 Osler Street. He is survived by his wife who now resides at 21 McCarthy apartments. SCIBAN, Henry Albert, AB, 3097, RCN, MPK - 25 Jun 1940, HMCS FRASER - Born 13 Sep 1919, son of Michael and Josephine Sciban, of Saskatoon, Saskatchewan. 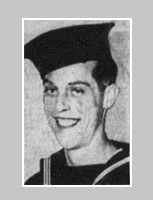 Able Seaman Henry Albert Sciban, age 29 was killed aboard the Canadian destroyer HMCS Fraser, was one of three Saskatoon brothers serving in the Royal Canadian Navy. Parents of the sailor are Mr. and Mrs. M. J. Sciban who arrived in Saskatchewan from Poland in 1907. Able Seaman Sciban brothers are Edward F. Sciban, age 19, stationed at the Pacific Coast with the Royal Canadian Naval Volunteer Reserve and Stanley, age 23, on active service. 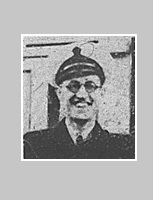 Lieutenant Commander H. F. Balfour, former commanding officer of the R.C.N.V.R. is a brother-in-law, now serving on the west coast. Henry was a student when he enlisted on September 13, 1913 at Esquimalt, British Columbia on his 18th birthday. SENYK, Steven, Sto, 21638, RCN, MPK - 25 Jun 1940, HMCS FRASER - Born 05 Mar 1919 in Swift Current, SK, son of Joseph and Dora Senyk. Steve Senyk enlisted on August 07, 1939 at Esquimalt, British Columbia just before the outbreak of the war. SMITH, Charles Dunsmore, OS, 3307, RCN, MPK - 25 Jun 1940, HMCS FRASER - Born 09 Jun 1919, son of Herbert W. and Verna M. Smith, of Ogema, Saskatchewan. 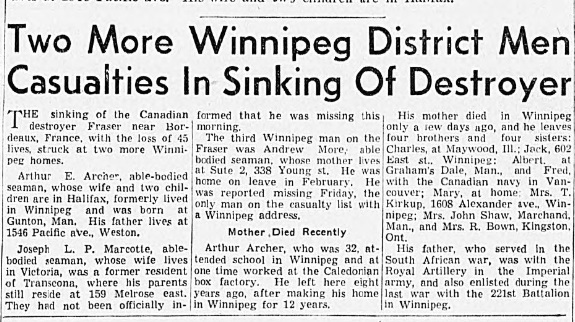 When HMCS Fraser went down, Charles Dunsmore Smith, seaman, of Ogema, Sask., was among the killed. He had just passed his 21st birthday. Born a few miles from Ogema, where his parents, Mr. and Mrs. H.W. Smith are farmers, he attended school at Key West and Ogema. He was athletic, active in sports and popular in his community. He joined the navy Oct. 1, 1938, and with a year was in convoy work first from Halifax, then in the West Indies, and finally in European waters. Besides his parents, a brother, Walter, and a sister, Dorothy, survive. Dunsmore Bay was named for him in 1951. A dozen years later he was given a duplicate honour when Smith Island at the entrance to Thompson Bay, Davin Lake, was also named for him. SWINDLEHURST, John C., Ord. Sig, V7559, RCNVR, MPK - 25 Jun 1940, HMCS FRASER - born 25 Jun 1916, son of Harry E. and Elizabeth M. Swindlehurst, of Toronto, ON. WAGAR, Donald Frank, AB, 2896, RCN, MPK - 25 Jun 1940, HMCS FRASER - Born 13 Jul 1919, son of Clayton Dean Francis W. Wagar, of Purple Springs, AB. Donald was born on the homestead in the Abercrombie district east of Macklin, Saskatchewan. His father died while he was a boy, and his mother remarried and moved to Purple Springs. Donald was a student when he enlisted on March 01, 1937 as a boy seaman at Esquimalt, BC. Stoker Petty Officer Thomas Watt was lost on HMCS Fraser; he was a former well known soccer player of Victoria, being a member of Esquimalt and Nanaimo teams. He attended Lampson Street and Esquimalt High Schools. He leaves a wife Elizabeth Watt and is parents Mr. and Mrs. Simon Watt. 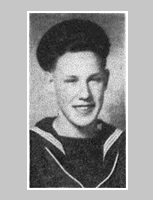 WHITE, Donald Harrison, OS, 3502, RCN, MPK - 25 Jun 1940, HMCS FRASER - Born 25 Apr 1922, son of Gerald and Elsie White of Halifax, NS. WRIGHT, Richard Christopher Farr, Sto, 21608, RCN MPK - 25 Jun 1940, HMCS FRASER - Born 02 Feb 1921, the son of Arthur William and Kate Wright of Victoria, BC. He attended Victoria West and Victoria High Schools. He is survived besides his parents, by three brothers, Arthur, at Cobbie Hill, B.C. Lionel and Fred at home and a sister, Agnes at home. HUMPHREY, Basil Donald (05 Jan 1932 - 14 Feb 2008) - age 85 years, a resident of Thunder Bay passed away unexpectedly at the T.B.R.H.S.C on Thursday, February 14, 2008. Born in Winnipeg, M.B., Basil moved to Thunder Bay with his wife Dorothy in 1945 following his service in the Royal Canadian Navy. He was a member of the Kiwanis Club of Thunder Bay, the Port Arthur Curling Club, the Associated Canadian Travellers and the Royal Canadian Legion Branch #5. Basil enjoyed sponsoring Port Arthur Minor Hockey and Junior Golf in the city. He was the founder and owner of Humphrey Sanitation which has been in operation for over 40 years. Basil will be lovingly remembered by his wife Dorothy, sons Don (Kris), and Mark, grandchildren Joseph, Jesse, Lily, Jason, Matthew and Michael, sisters Dorothy, Jean and Cindy (Don). Cremation has taken place and a memorial visitation for family and friends will be held on Wednesday, February 20, 2008 from 6:00 pm to 8:00 pm in the Sargent family reception Centre, 35 N. Court Street next door to the funeral home. Should friends desire, donations to the Royal Canadian Legion Br.#5 Building Fund would be appreciated. Arrangements entrusted to the Sargent & Son Funeral Home, 21 N. Court Street. 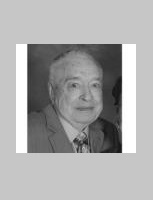 WARD, Clarke Lenard (Charlie) - passed to his eternal reward on Saturday, November 25, 2017. A Traditional Catholic funeral Mass will be held at Our Lady Queen of Peace Church in Vernon B.C. on Saturday December 2nd. Viewings will be in Kamloops on Thursday Nov 30th at Schoenings, and at Pleasant Valley Funeral Home in Vernon on Friday Dec 1st. Clarke was born one of 6 children (4 boys, 2 girls: Cecil, Rita, Doreen, Clarke, Lloyd, Lawrie) to Charles and Beatrice (Pattison) Ward of Kerrobert, Saskatchewan on February 16th, 1937. Clarke was preceded in death by his wife Ellen in 2015, and his siblings Lloyd, Cecil, and Rita. He joined the Royal Canadian Navy in 1954, and served his country for 25 years based in Halifax N.S. till 1980. Shortly after enlisting, Clarke met the love of his life, Ellen Ring. Clarke and Ellen lived in Halifax till the end of his naval career in 1980, and had 3 children during that time; Christopher, James, and Maggie. After retiring from the Navy, Clarke, Ellen, and the children moved back to Ellen's home province of British Columbia, to the city of Kamloops. 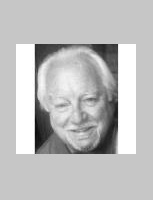 Clarke started working as an electrician for Ainsworth Lumber, and continued in that career for another 25 years before retiring in 2005. Clarke leaves behind his three children, his brother Lawrie (Shirley), and sister Doreen, his sisters-in-law Katherine, Terry, Genevieve, brother -in-law Jim, as well as many nieces, nephews, 9 grandchildren, and many friends and neighbours. 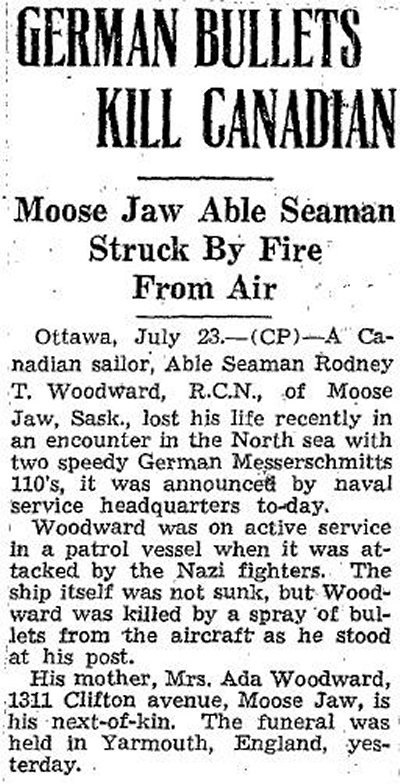 WOODWARD, Rodney Trevors, AB, 2938, RCN, killed - 19 Jul 1940, HMCS NIOBE - Born 02 May 1920, son of William S. and Ada Woodward of Moose Jaw, SK. 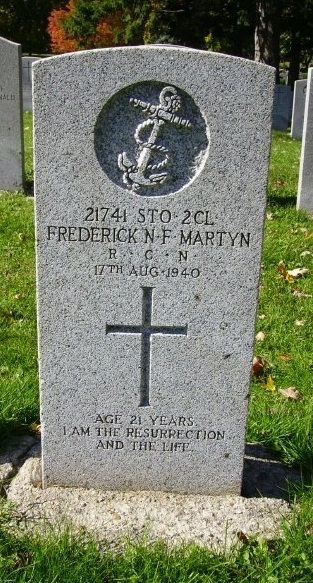 MARTYN, Frederick Norman Frank, Sto 2c, 21741, RCN, died - 17 Aug 1940, HMCS NADEN - Born 24 Dec 1918, son of Norman and Winnifred Martyn of London, ON. Stoker Martyn died from a fatal case of Spinal Meningitis at Esquimalt, BC. He is buried in Woodland Cemetery, London, ON. DEVINE, Charles Daniel, PO Writer, 40348, RCN, killed 19 Oct 1940, HMCS STADACONA - Born 11 Oct 1906, Petty Officer Devine was killed in an automobile accident on a Québec highway near Three Rivers, while returning to Halifax from a visit with his mother in Ottawa. Two motorists were arrested on drunken driving charges. Petty Officer Writer Charles Daniel Devine whose home was at 39 London Street, Halifax, leaves a widow and two daughters, Kathleen and Claire, age five. His home has been in Halifax for the last eight years and last June he was given the rank of Petty Officer Writer. He had been connected with the Leave and Transportation Office since the opening of war hostilities. He was well known in shipping and railway circles. The son of Mrs. D. A. Devine and the late Mr. Devine, a well-known building contractor in Ottawa, who died a year ago. Petty Officer Devine joined the navy eleven years ago at Esquimalt, B.C. He served most of his training on H.M.C.S. Saguenay, and was on her when the war commenced. As a naval rating he was at the Coronation of King George VI and at the unveiling of the Canadian War Memorial at Vimy, France. 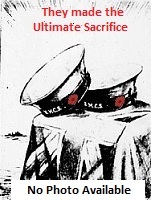 He was among the naval men commissioned to England to bring H.M.C.S. Restigouche to Halifax. He was a member of the Masonic Order. A Naval funeral was held at Cruiksbank Funeral Home to St. Mark's Anglican Church. Services will be performed by Rev. John Furlong naval chaplain and Rev. W. W. Clarkson pastor.